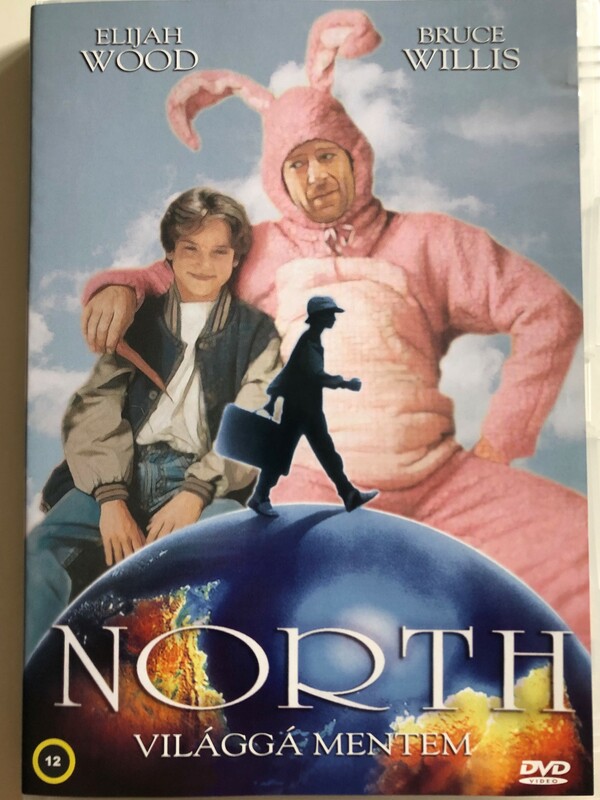 North is a 1994 American comedy drama adventure film directed by Rob Reiner. The story is based on the 1984 novel, North: The Tale of a 9-Year-Old Boy Who Becomes a Free Agent and Travels the World in Search of the Perfect Parents by Alan Zweibel, who wrote the screenplay and has a minor role in the film. The cast includes Elijah Wood in the title role, with Jon Lovitz, Jason Alexander, Alan Arkin, Dan Aykroyd, Kathy Bates, Faith Ford, Graham Greene, Julia Louis-Dreyfus, Reba McEntire, John Ritter, and Abe Vigoda. Bruce Willis narrates and plays several different roles throughout the film, and a 9-year-old Scarlett Johansson appears briefly in her film debut. The film was shot in Hawaii, Alaska, California, South Dakota, New Jersey, and New York. North is a child prodigy, skilled in academics, sports, and drama, admired by many for his good work and obedient attitude, but unappreciated, he feels, by his own parents. One day, while finding solace in a living room display at a mall, he complains to the Easter Bunny—a man in a pink bunny suit—that his parents, alone among all the adults in his neighborhood, seem unable to see his talents. The Easter Bunny recommends that North simply tell his parents how he feels; but North says if they can't appreciate him, they don't deserve him. With the help and encouragement of his friend Winchell, who works on the school paper, North devises a plan to "divorce" himself from his parents, and hires ambulance-chasing lawyer Arthur Belt to file the papers. The announcement of his divorce takes North's parents completely by surprise, and renders them comatose. They cannot object when Judge Buckle grants North's petition, and gives him one summer to find new parents; if he cannot, he will have to move to an orphanage. 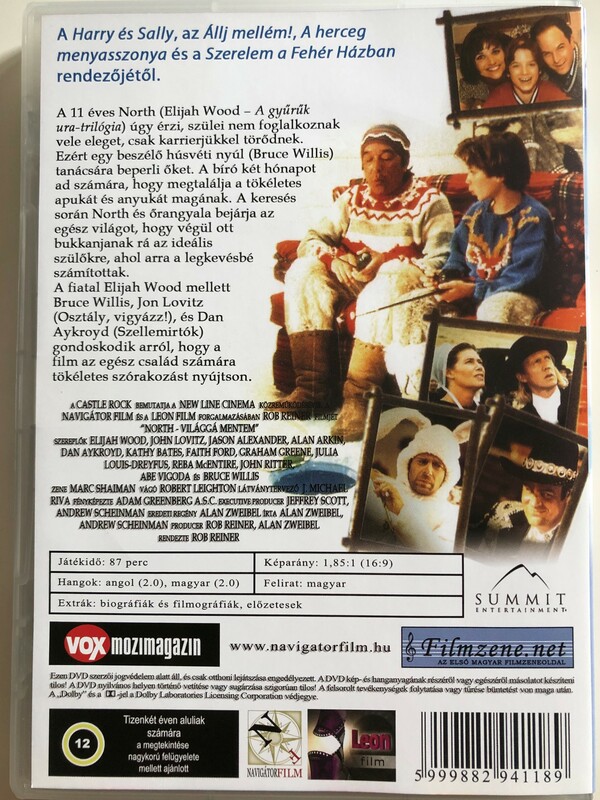 Click the button below to add the North DVD 1994 Világgá Mentem / Directed by Rob Reiner / Starring: Elijah wood, Bruce Willis, Dan Aykroyd, Jon Lovitz to your wish list.